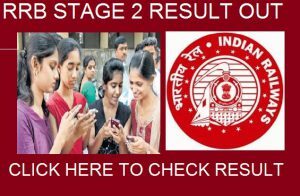 4 What to Do after Second Stage NTPC Result 2017? Finally Indian railway recruitment board out NTPC CEN 03/2015 Stage 2 Result in their official website i.e www.indianrailways.gov.in and also in all r.r.b region wise official website. All the awaited candidates can now able to checl their normalized mark from the link below. You only need to enter your “USER-ID AND DATE OF BIRHT” as your login detail then, you will able to view your normalized marks. Below we provided step wise procedure to check ntpc main exam result 2017-2018. So, read every detail carefully and follow each steps. Now you will enter to New page where you can able to select your region. Click on your respective region for which you had applied. Now check your score. DONE (BEST OF LUCK FOR YOUR RESULT) and Don’t forget to share to views in below comment box.